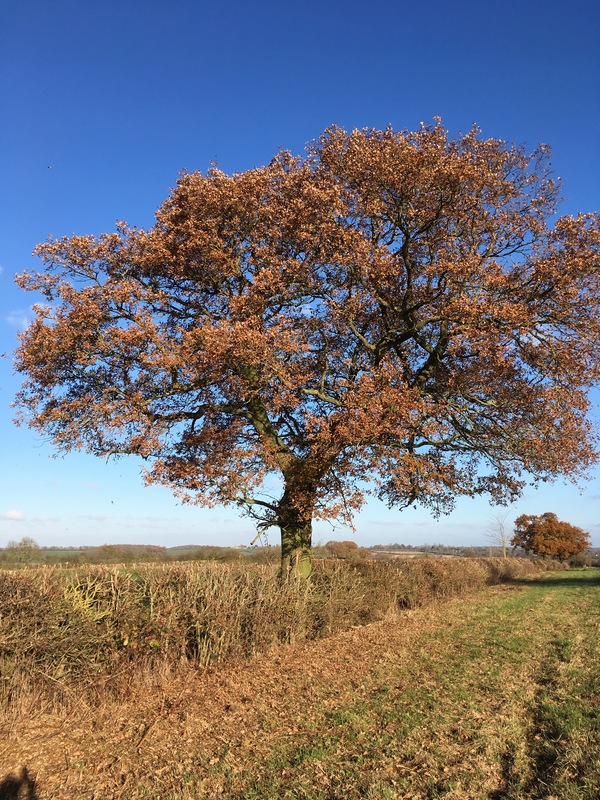 Wordless Wednesday – 7th December 2016 -a line of oak trees. View from my garden gate. A flurry of leaves fall like snow, in golden bands across the lane. Such a picture of beauty. A temporary -catch-it-now moment in time. Before the season moves on. I love oaks. They seem so sturdy, so permanent, so everlasting. And you just know that (in the spring and summer) they are full of buzzing insects, creeping caterpillars, busy bugs and bright beetles. So much life! Awesome. I love these trees. The last house I lived in was called ‘Oakgrove’ and the name is on the stone post. House built in 1877. Beautiful. There is nothing as lovely as an English oak. A “catch-it-now moment” — great description. It’s so easy to overlook them. I miss living in the country with such scenes. It is the price I paid to be closer to all my sailing, beaching and kayaking opportunities. I do not have oaks in my yard yet somehow the acorns find me. Beautiful image. I hope these oaks can live out their entire lives while sharing the spot with farm crops. I’ve made friends with the contract hedge trimmer. I take him hot chocolate and home made biscuits. He has to do his job as speedily as he can, and the trees get in the way. I understand his work, and he knows I care about the trees..There are ways to get people on your side. You don’t have to shout the loudest to be heard.